On October 14, 15 and 16, 2016 will take place the EMAC Gashukku Fall 2016. 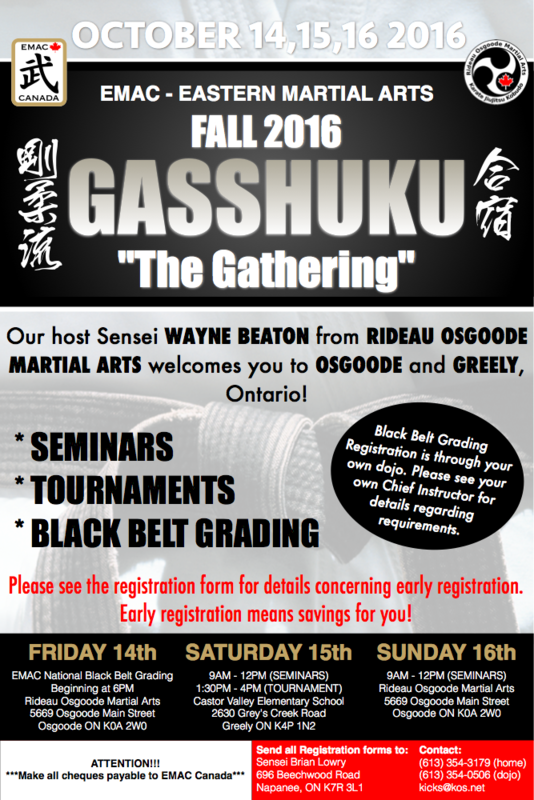 Three days of seminars and tournaments hosted by Sensei Wayne Beaton from Rideau Osgoode Martial Arts, in Osgoode, Ontario. Complete your registration before September 24th to earn an exclusive discount. For more information, talk to your chief instructor and access our Group on Facebook.